This is a less bronze, greener form of the species that picks up a little pink-red coloration under stress. 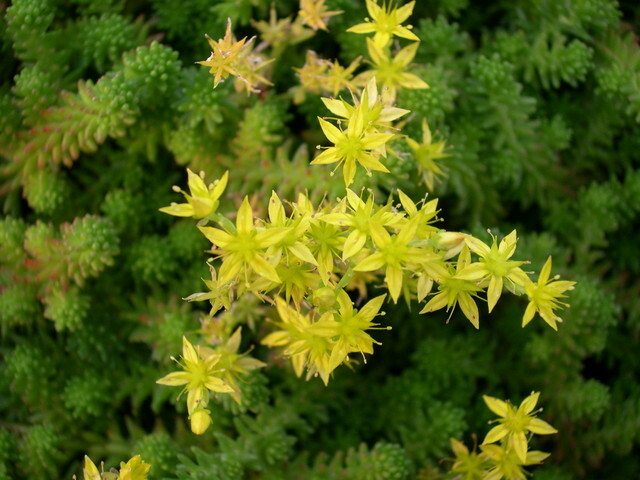 Flowers are yellow-green and are borne in profusion. It is low and spreading. Evergreen perennial.